Firstly, Happy Holidays! The weather is looking great for the Christmas period, so we hope you are able to get out on the bike a lot! This time, we have a few suggestions for top Escapegoat Christmas gift ideas, in case you still need to get a few pressies! We also have loads of trips and activities going on over the christmas period, to help you get out on your bike. First up, we have a few changes to our tour timings for the summer. In addition to our midweek trips, we will now be running a Lofty Descent Trip most Saturdays and a Hills Vines and Wines tour on most Sundays. Of course having said that, with Christmas and New Year being over weekends, the dates are a bit stuffed then- but rest assured we have plenty of trips available over the Holiday period, so check out our Calendar for details! We have also added a new variation of our Hills Vines and Wines tour which we can operate for 2 or more people in the Adelaide hills- we ride from Mt Lofty downhill to Hahndorf via quiet country roads and dirt tracks, and stop for wine and cheese tasting at Nepenthe winery, and wine and chocolate tasting at Hahndorf Hills winery. Give us a yell if this one interests you! Our next Skills day is scheduled for Saturday 15 January, and is nearly full, so grab your spot soon if you want to join us. 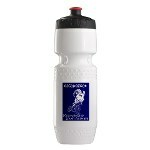 Finally, don’t forget that we have our special Early-bird deal for our Escapegoat Alpine Epic for July 2011. For all bookings made before 1 January 2011 we are offering $500 off. With all the early-bird flight deals for Europe available at the moment it’s a great time to plan a trip to Europe, with the whole holiday working out a look cheaper than you would imagine. Just think of 2 weeks of luxury accomodation, great riding and guiding, and a chance to hang out in one of the most picturesque parts of the world- it’s really a great trip- contact us now for booking info or check out the online info sheet! OK, so here are our top Escapegoat Gift ideas for Christmas! 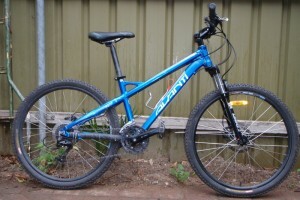 1-Give that special person an Escapegoat bike! Yes, we have just upgraded our entire hire-fleet of bikes, so we are now selling off our old bikes- these are in excellent condition and have seen 20-30 days of light use. Grab a bargain- $500 each. Only a handful left! More info here! 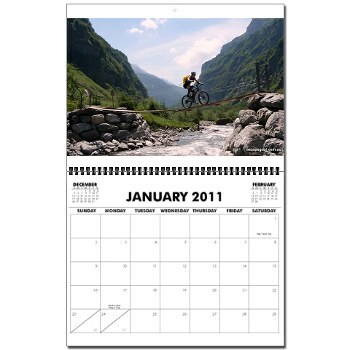 2- Give a whole year of MTB goodness with the Escapegoat ‘Ride the World 2011 Calendar’! Enjoy photos from Escapegoat trips and tours around the world, throughout the year- you may even be in the calendar! Just $19.95 plus postage– with free postage on orders over $40 for the next day or so- way not grab a t-shirt too! 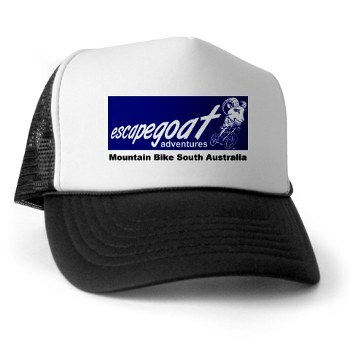 3-Grab an Escapegoat T-shirt, hat, hoodie or mug! 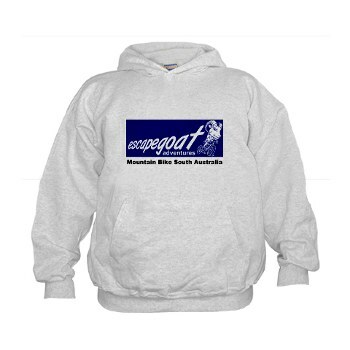 Check out all the great Escapegoat stuff in our online store! Again free postage on orders over $40 for the next day or so- just add the code SHOPSHIP on checkout! 4-Give an Escapegoat Gift Certificate! Contact us to purchase a gift certificate for a friend to come on any of our trips, tours or skills days! OK, so that’s probably enough for now. Here’s to a great Christmas break, and an awesome New Year. We leave you with a final snowy Christmas shot- OK, this one was actually taken in the Alps in the middle of summer, but hey, there’s SNOW! We hope to see you out on the trails soon!